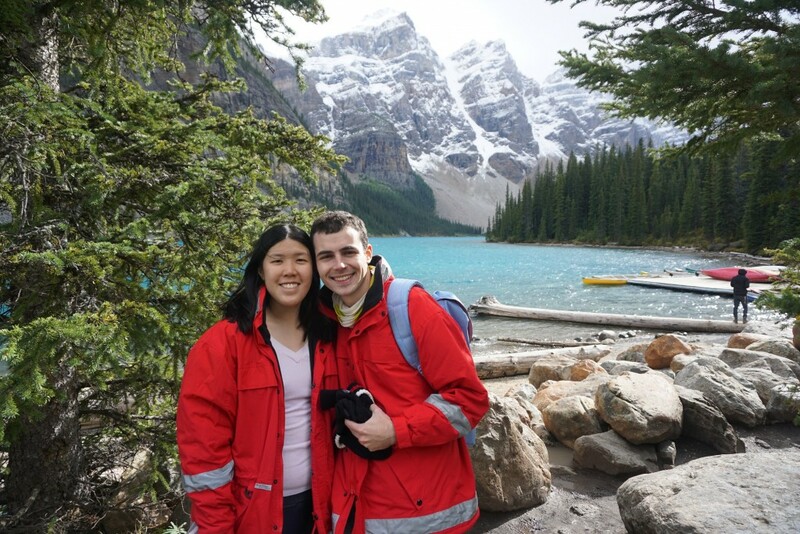 A happy snap of us at Moraine Lake, in the Lake Louise area. We just returned from the Sentinel Pass hike - although we might not look it, we were exhausted! It unexpectedly snowed, but we made it to the pass. A great day with fantastic views.